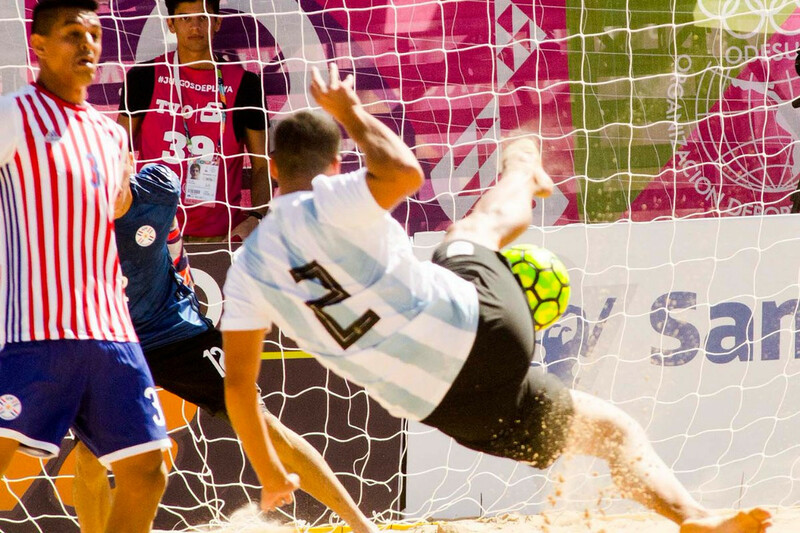 Argentina progressed to the beach football final following victory over Paraguay at the South American Beach Games in Rosario. The hosts earned a 2-1 win at a full Red Stadium. Carlos Carballo opened the scoring for Paraguay but goals from Rosario Ponzetti and Manuel Bordón secured Argentina's comeback and set up a clash with Brazil. It was a more comfortable victory for Brazil in their semi-final, a 7-4 win over Colombia. The finalists in the beach tennis were also decided. Brazil's Thales Oliveira Santos will meet Venezuela's Ramon Guedez in the men's final. The women's showdown is an all-Brazilian affair between Adriana Miiller Rafaella and Joana Amorin Cortez Dos Santos. The finals for the beach football and tennis are set to take place tomorrow, the 10th day of action at the Games.